Wincanton plc, the largest British logistics company, is expanding its construction fleet as a result of the organisation’s continued growth within the sector. 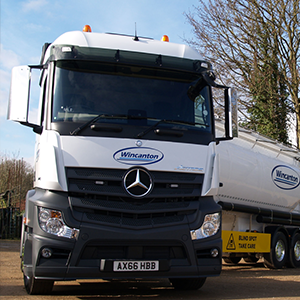 The expansion of Wincanton’s construction capability will see the bulk powder haulage operation receive additional powder tankers, which will service existing customers as well as provide capacity needed for increasing demand. The investment consists of 26 specialist Feldbinder tankers with Mercedes units, 22 of which have a 36 cubic metre capacity for bulk cement, or bulk sand. The remaining four have a capacity for 49 cubic metres of bulk ash. Wincanton’s growth in its Construction business unit is matched by this additional capacity at a time when the industry’s long term prospects look positive. The Government has already outlined its plans to build a million new homes by 2020 and to invest in major infrastructure projects such as HS2. Chris Fenton, Managing Director of Industrial and Transport, Wincanton, commented: “The construction sector makes up an important part of our business, in which we have established expertise and a track record of success. The investment follows Wincanton becoming the first 3PL provider to enter the ready-mixed concrete market, having been awarded an eight-year contract with the UK’s largest supplier of ready-mixed concrete, Hanson, in 2016.